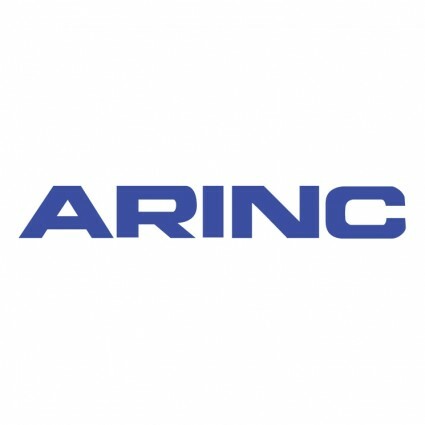 ARINC has announced that there will be additional significant job losses in the first quarter of 2013 as a result of a re-focusing of their business. This is in addition to the job losses and transfers that were part of the sale of their Defense Systems Engineering and Support business to Booz Allen. Eye On Annapolis obtained an internal e-mail from Stephen L. Waechter, CFO, that details the cuts. The email was distributed late last week. (Names of specific employees have been redacted by Eye On Annapolis). Our source tells us that approximately 120 employees have been affected. The sale of the Defense Systems Engineering and Support (DSES) Business to Booz Allen on November 30, 2012, was an historic event for ARINC. The change will allow us to focus our energy on growing our Commercial and Aerospace businesses. We wish our colleagues moving to Booz Allen all the best. They will be missed. Our remaining business footprint will be significantly smaller and will require less support than the heavily regulated Defense Business. It is with great sadness that we will be reducing some of our staffing requirements between now and the end of the first quarter 2013. Full time employees who will be affected have already been notified. While we still have significant government business, I am announcing several organizational changes to support the business going forward. After 38 years, XXXXXX, Staff Vice President – Corporate Contracts and Procurement Organization, will be retiring at the end of January. XXXXXX will be working on the DSES transition with Booz as he wraps up an outstanding career at ARINC. After 26 years, XXXXXX, Senior Director- Government Contracts, will be retiring effective at the end of the year. XXXXXX’s strong knowledge of government contracting has provided a steady hand in negotiating contracts with the government over the years. XXXXXX will report directly to me beginning February 1st and will be responsible for all commercial and Aerospace Contract functions with exception of the International Division. XXXXXX will be retiring near the end of the second quarter next year as he continues to support our Business Development efforts with the FAA. The Contracts Administration Organization: XXXXXX and her team will report to XXXXXX, Director, Billing and Accounts Receivable. The Purchasing Systems and Administration Organization: XXXXXX and his team will report to XXXXXX, Director Business Systems. The Export Compliance Organization: XXXXXX and his team will report to XXXXXX, Vice President Law and General Counsel and Secretary. XXXXXX, Staff Vice President remains in charge of International Contracts and Legal and will continue to have a multiple reporting relationship to me, XXXXXX and XXXXXX. As part of the reorganization XXXXXX will be leaving the Company effective December 31, 2012. XXXXXX has been with ARINC for over 12 years and has worked closely with each of the business units during his tenure here and played an integral part in the initial sale of the Company from the Airlines to Carlyle. He has been a key member of the management team and he will be missed. Effective immediately, Finance Directors – XXXXXX, XXXXXX, XXXXXX, XXXXXX and XXXXXX – will report to XXXXXX. The pricing functions that formerly reported to XXXXXX will be reassigned to the business units they have supported previously. XXXXXX will report directly to XXXXXX in Oklahoma City. XXXXXX and XXXXXX will report directly to XXXXXX. These decisions do not come lightly but are necessary for ARINC to remain competitive and to support growth in our Commercial and Aerospace businesses. 2013 will be a challenging year for the company as we work through transitioning the Defense business to Booz Allen and we look forward to supporting the continued growth in our other businesses.